1. 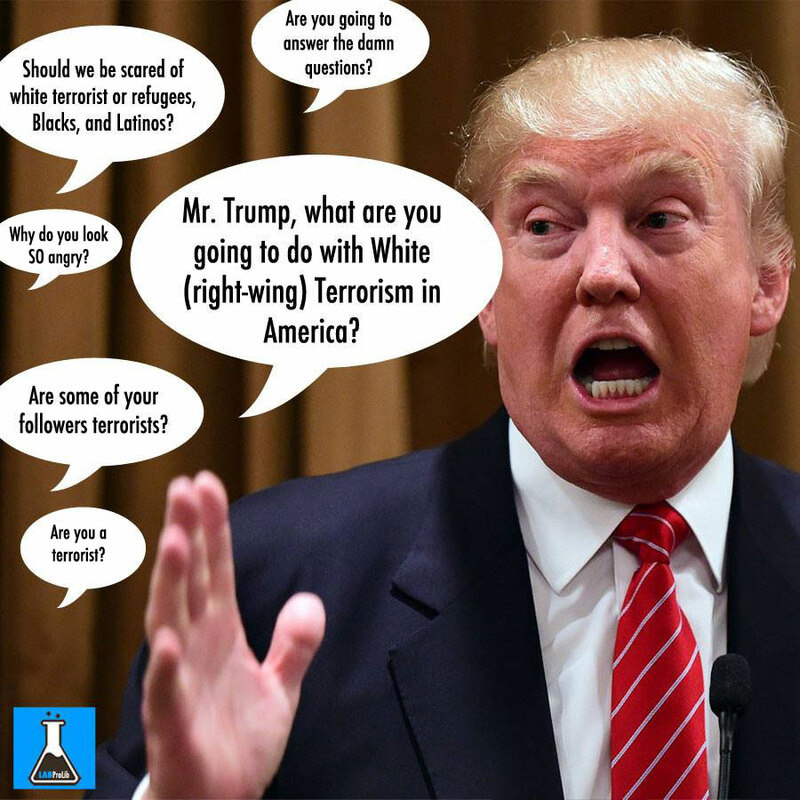 Mr. Trump, what are you going to do with White (right-wing) Terrorism in America? 2. Should we be scared of white terrorist or refugees, Blacks, and Latinos? 3. Are some of your followers terrorists? 4. Are you a terrorist? 5. Why do you look so angry? 6. Are you going to answer the damn questions? Donald Trump: ‘I’m A Great Unifier. I Get Along With People’ said during interview on Sean Hannity.